Originally designed for pilots flying within Alaskan and Canadian airspace, the CA-20 offers protection against harsh climates in the event of an emergency. 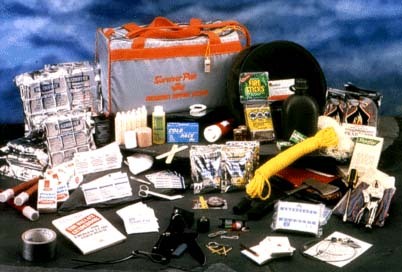 It contains over 150 medical and general supply items to help sustain two people for up to 14 days. The space saving design combined with its ample supply of food and water makes the CA-20 a popular choice on board fixed wing, rotor craft, and corporate jets. It’s also used extensively by Search & Rescue units!